Puerto Rico is a delight any time of year, with an average temperature of 76°F year round, easy (passport free!) flights from the US and beaches galore. 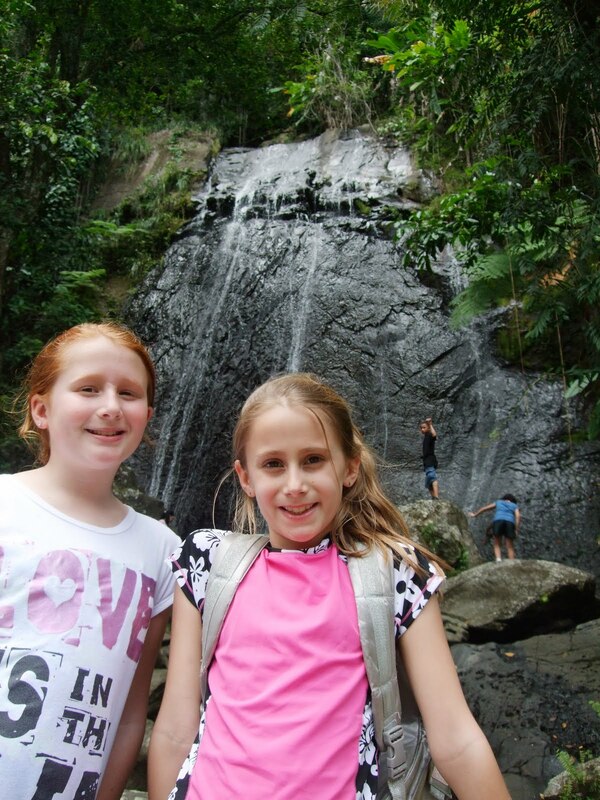 But with a little planning, a trip with your kids to Puerto Rico can be absolutely magical. The section of the city known as “Old San Juan” is surrounded by massive forts that loom large and practically dare you not to explore them. The Fort de San Filipe del Morro (known as El Morro) was built in the 16th century and was used almost continuously until World War II. The Fort San Cristobal was built in the 1800s and was one of the largest Spanish forts in the Caribbean. El Yunque is Puerto Rico’s national rainforest, and also the name of the highest peak on the island which lies within the park. The park is popular with locals and tourists alike with its easy paved trails, soothing waterfalls, and incredible diversity of flora and fauna. A stop at the visitors center on the way in gives and overview of the park and maps of trails. Do not expect to be alone on any of the trails, however. Guánica Biosphere Reserve and State Forest in the southwest corner of the island is, conversely, a dry forest, with an arid climate created by the rain shadow of the nearby Cordillera mountain range. Half of the islands bird species can be found here, as well has a number of cacti and the indigenous frog known as the coquí. Hikers and mountain bikers will find a number of trails here, including one that leads to Fort Capron, which allows for a stunning view of Guanica Bay. The Rio Camuy Caves can make a fun day trip from San Juan. The park is popular, so there is a number system in place for admission. When you arrive you pick up a number and wait for it to be called to take your turn on the trolley ride to the cave entrance. Once there, you’ll hike through the caves on flat but slippery pathways, so be sure to wear good walking shoes. Kids might enjoy the new requirement that visitors wear hard hats while visiting the caves. Though the tour can be a little hokey, kids seem to enjoy picking out the cleverly named shapes in the caves. Puerto Rico is home to several bioluminescent bays, where microorganisms glow bright in the dark waters at night. 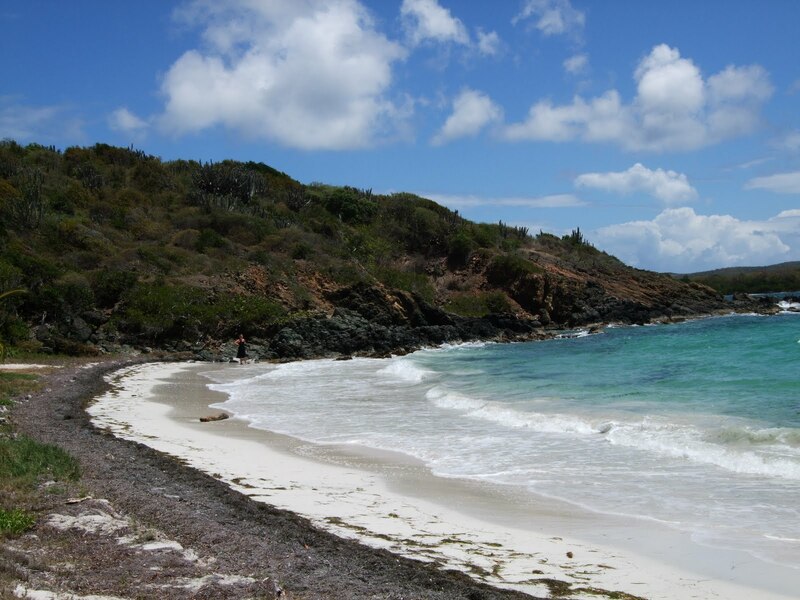 The brightest is at Mosquito Bay on the island of Vieques, a quick flight or longer ferry ride from the main island. Several outfitters provide kayak or pontoon boat tours of the bay on nights without a full moon. Be advised that the trail to the water can be buggy, but there are strict restrictions against most insect repellents to preserve the organisms in the bay. Ask the tour operator for their suggestions. Do take the opportunity to swim in the bay if you can, as the experience of lighting up the water with your movements is like none other. Magical for kids and adults. The bioluminescence is really impossible to photograph, so instead here's a photo of one of the lovely and deserted Vieques beaches. The Beach Boys sang about Rincon in Surfin’ Safari (“at Rincon, they’re walking the nose…”). At least we’re pretty sure they were talking about this Rincon, where the surfing is legendary. Surfing lessons are available for kids all around the island, however, and the beaches are stunning. This is just a small list of things to do in Puerto Rico, though. There’s so much more. If your kids are a little older they might enjoy horseback riding on the beach, ziplining through the rainforest, or even food tours of San Juan. If you like warm weather, there’s something there for everyone. 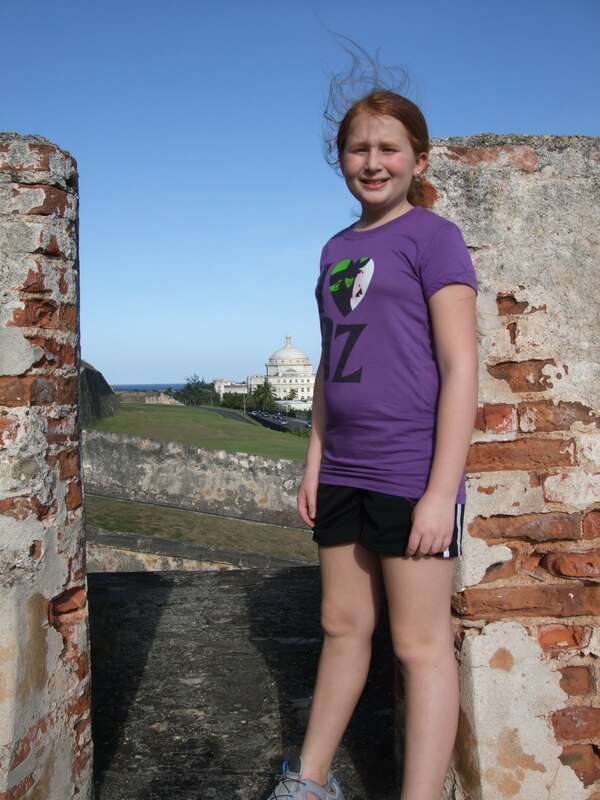 La Bochinchosa lists several opportunities for children in San Juan. We have the bi-monthly craft and art exhibits in Museo de Las Americas. The kid-friendly La Playita Beach. We have the children’s museum in Old San Juan and another in Carolina. Aww shucks, Jonny. We just do what we have to do. Puerto Rico is fun and beautiful and an easy trip from the East Coast of the US.